Theo Jackson's second album, Shoeless And The Girl, is an old-fashioned kind of record. That's "old-fashioned" as in melodic, swinging, understated, lyrically engagingold-fashioned in a really good way. 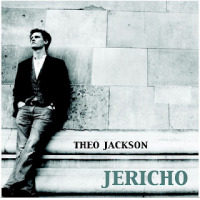 Jackson's debut, Jericho (Self Produced, 2012), was impressive but the lengthy songs sometimes lost focus. Shoeless And The Girl is a more mature, more savvy, album: the songs all come in at under 5.40, the arrangements are tight and Jackson's lyrics are given the primacy they deserve. Bassist Huntly Gordon and percussionist Marco Quarantotto form a reliable partnership, their subtle playing fitting Jackson's songs beautifully (their work on "Lonesome George" is exquisite). Mostly this is a trio album: horns appear on just four of the songs. Altoist Nathaniel Faceythe only member of the Jericho band to make an appearance hereadds tension and urgency to the swinging "Little Do You Know" with his dynamic solo; Leo Richardson's smoky tenor heightens the late-night atmosphere of "Peu M'Importe" and the warmth of the lovely but slightly strange "Moonchild"; Quentin Collins' bright flugelhorn gives "Shoeless And The Girl" added positivity. Jackson's voice has matured since his debut, gaining resonance and lower-register strength. He's developing into a superb singer, a stylist whose voice communicates with a welcome clarity. He's not afraid to whistle either, opening and closing "Moonchild" with a few bars of that almost forgotten vocal art (although he's no Ronnie Ronalde). Jackson gives lyrics to two Wayne Shorter tunesShorter has given his blessing to both. "Footprints" is a mid-tempo trio number: "Wild Flower," a solo performance, is subdued and melancholy, Jackson giving one of his best vocals of the set. The lyrics deal with universal themeslove, loneliness, romance, sadnessbut they often have a pleasing quirkiness. The sad and lonely narrator of "Lonesome George" could well be an old man reflecting on a life nearing its end but it's actually the tale of a sad and lonely Galapagos tortoise. "Love And A Shoestring," another strong solo performance, combines a ragtime-y piano hook with lyrics that take a somewhat earthy view of love and life on a limited budget: "Camberwell Butterfly" alludes to the life of a butterfly in telling the tale of a young woman finding her independence. Fans of baseball legends might be disappointed to discover that Shoeless And The Girl makes no reference to Shoeless Joe Jacksondespite the probably tenuous chance of a family connection. Fans of melody, swing, engaging lyrics and understated musicality will encounter no such disappointment with the great songs and great performances on Shoeless And The Girl. Track Listing: Little Do You Know; Moonchild; Lonesome George; Shoeless And The Girl; Footprints; Bella's Coming Home; Wild Flower; Peu M'Importe; Love And A Shoestring; Camberwell Butterfly. Personnel: Theo Jackson: vocals, piano; Huntly Gordon: double bass; Marco Quarantotto: drums, percussion; Nathaniel Facey: alto saxophone (1); Leo Richardson: tenor saxophone (2, 8); Quentin Collins: flugelhorn (4).